Approved for: Hanover, Oldenburg, Westfalen, Rheinland as well as all southern german Breeding unions. The secret "Secret" has been revealed ... this posh youngster was undoubtedly a very special addition to our station. Due to his outstanding type brilliance as well as his exceptional potential for movement, this son of the triple world champion Sezuan is an absolute exception. Three basic gaits in equal measure of high rarity value - step, trot and gallop of the highest quality. This stallion grew up very gently and causes open mouths from the first moment. Hard to beat rideability values complete this impressive model. The very first appearance under the saddle caused a veritable hype far beyond the country's borders. Large advance laurels, which was to be confirmed. But even these high expectations fulfilled Secret effortlessly, as he finished with a dressage end note of 9.5 in Schlieckau. 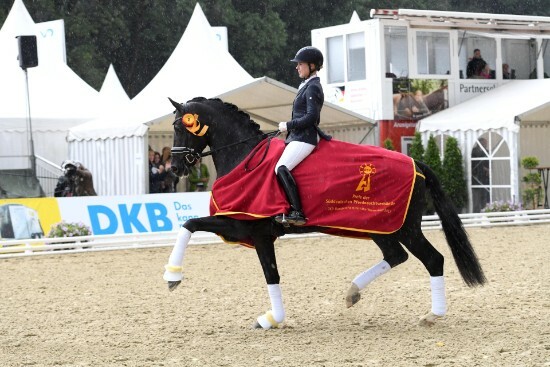 He was able to shine again at the Bundeschampionat in Warendorf, where he was "only" voted Vice Bundeschampion due to the foreign rider scores. A thoroughly controversial decision, because of all the rideability values (Fremdreiternote & Richter) from Schlieckau, there with the grade 4 times the 10.0 rated, could not have been better. 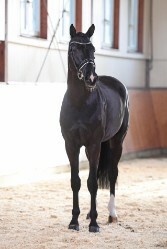 Father Sezuan is a celebrated triple world champion of young dressage horses and undoubtedly belongs to the most sought-after dressage horses of the present under Dorothee Schneider. Not to mention the upcoming future in the big square. Both his breeding and his sporting career is marked by highlights. Also in the course of his licensing and in the performances during the World Championships, only scores between 9.5 and 10.0 were awarded for his basic gaits. 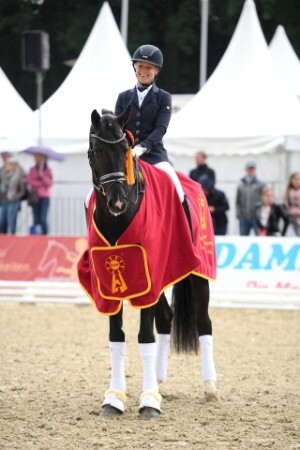 Thus, he was the title of world champion of young dressage horses 5, 6 and 7 years old undisputed sure. A recipe for success that is second to none - the Secret line's dam line, strain 853 of Sudette, produced numerous internationally recognized performance horses. In addition to this sire, there are already 38 more licensed stallions from this dam line. As a motherfather, we find St. Moritz, who in his unfortunately too short effect on the Gestüt W.M. brought forth a whole series of interesting, sporty, and successful offspring. The maternal pedigree is rounded off by the tried-and-tested combination of successes of the Celler studs Rotspon, Argentan, Woermann and Lugano. 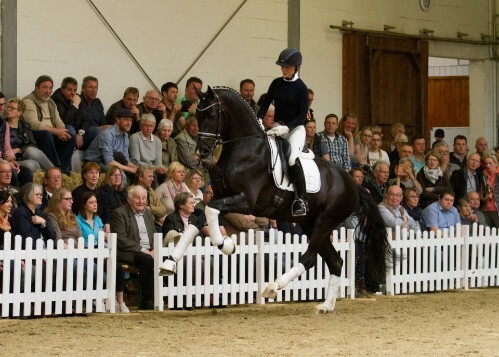 The figurehead of this dam line is the latest addition to the Bundeschampion of five-year-old dressage horses and the reigning world champion of six-year-old dressage horses Lordwood's Dancing Diamond under Anne-Kathrin Pohlmeier. 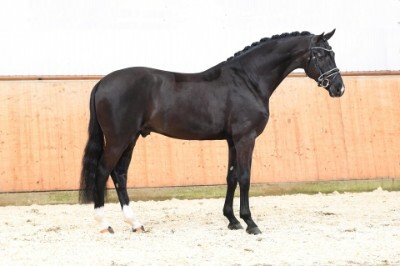 Due to the genetic blood combination of the extra class in this flagship pedigree paired with the high performance of this rough diamond we offer the experienced dressage horse breeder of today thus a very special offer.